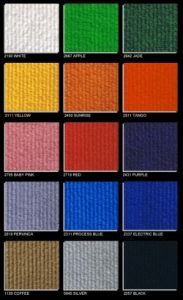 We have a choice of two types of shell scheme carpet options for your event, both of which are 4mm foam carpets and are available in 30 standard colours to help you define gangways from exhibitor areas. 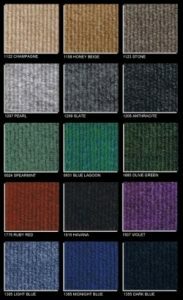 This chart should give you a rough idea of the standard shell scheme carpet colours available for your event. Samples can be supplied on request. We can also supply a range high quality carpets, vinyl and wooden floor coverings. If you have a specific requirement in mind then please discuss it with your project manager. Complete the enquiry form on this page or alternatively call us on 01793 613088 to discuss our shell scheme options.